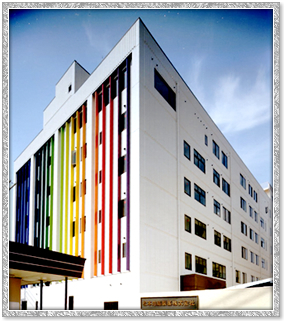 Since the foundation in 1926, and for over 90 years, we Matsumoto Yushi-Seiyaku Co., Ltd have enjoyed the warm support of our customers and achieved a steady growth in our results. Our products, owing to their deep and wide reach, can be in use in a number of industries and applications without necessarily being easily noticed. This wide-range functionality of our products is a characteristic which is well recognized by all our employees who have constantly generated valuable Research through continuous efforts. As a result, we could firmly earn the reputation of a reliable surfactants manufacturer to the extent that our company can be epitomized as ‘Matsumoto is akin to Surfactants’. To illustrate, we have broadened our reach so that not only the textile industry at large is where you will find our products. Looking back, we started as a manufacturer specializing in textile chemicals. Today, industries and applications such as information and electronics, automobile, precision instruments, civil engineering, construction, rubber, plastics, cosmetics, toiletries, and agriculture are all destinations for our various products. The key to sustained success resides in the speedy and adequate response to customer needs which must be accurately identified and understood. With this awareness, we are determined to develop and build ever close relations with our customers. Last, it is with the zeal and enthusiasm of a 1926 venture business that we will continue on the trajectory of growth, and it is our true desire to always welcome your guidance and support all along that path.